Gisela Graham Medium Vintage Green Ceramic Slim Retro Flower Vase. 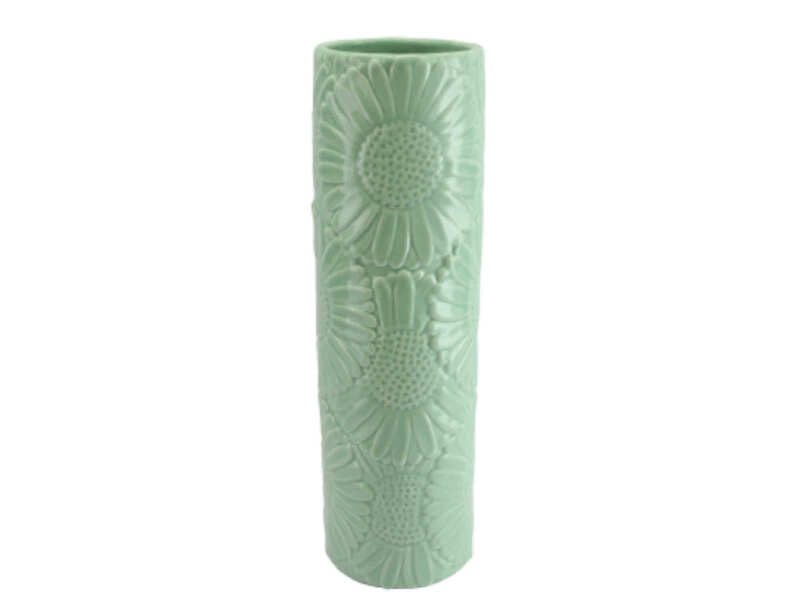 A splash of vintage mint green with a retro flower design will brighten up any space in your home. It's perfect for a small bouquet of flowers. Due to the slim design it's also great for anyone with limited storage space! Stock Room in Seaford, United Kingdom.